First I created the Neon Spotted nail HERE for the base using Hairspray. 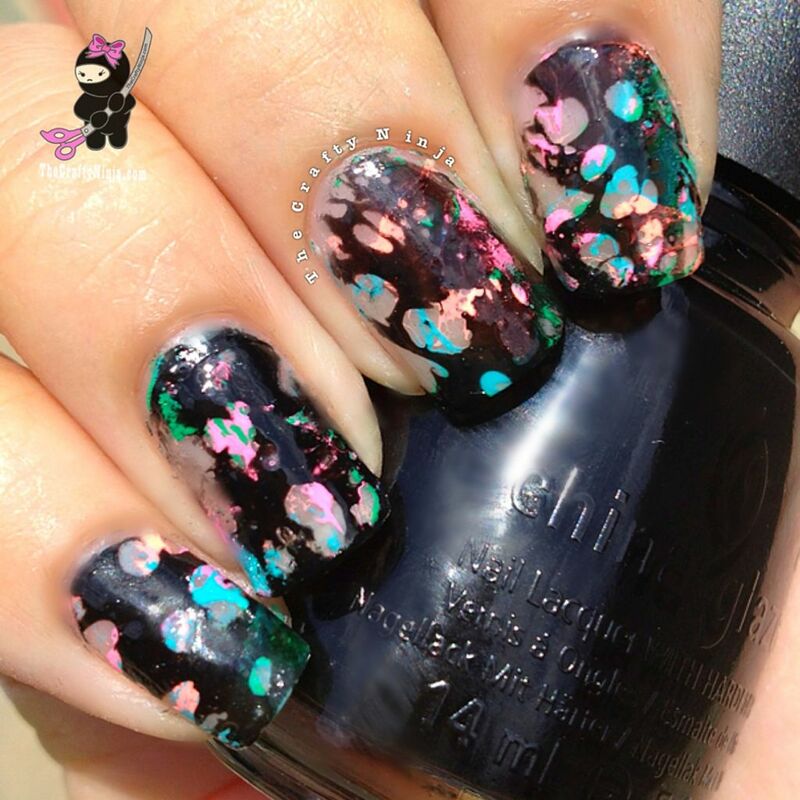 I’ve seen this spotted technique done on top of gradient nails or just a single nail polish color. I wanted to experiment with other products to try and create it this technique and I used Perfume for this tutorial. I used my Miss Cherie Dior perfume and my nails smell so good for several days. If you don’t want a perfume scented room for weeks then I suggest using another product to create the spotted look. I’ve also seen liquid antibacterial spray work and also other products with alcohol. Supplies needed: Filtered water set to room temperature, Glass Bowl, China Glaze Liquid Leather (black nail polish), Hairspray, Acetone, and Seche Vite Fast Drying Top Coat. This was not the easiest design to create. But with more experimentation on what spray to use to create the spots, I think it could be more successful.